At Ashenden & Associates, P.C. our experienced attorneys have represented clients in all types of accident and personal injury lawsuits. 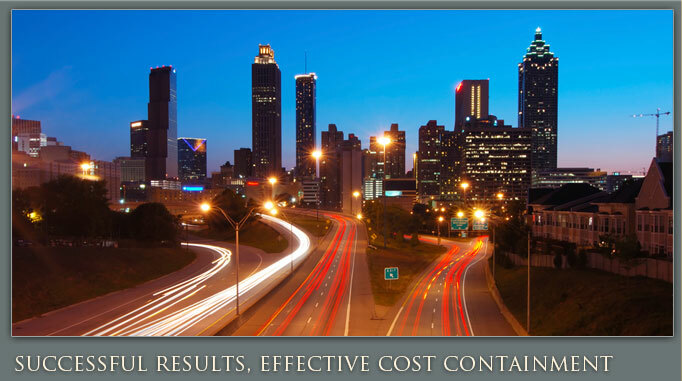 Our reputation for maximizing the value of our clients' cases extends throughout not only Metro Atlanta, but Georgia at large. We have successfully litigated multiple million dollar Atlanta personal injury claims and are always ready to take on new clients in need of a top attorney. We are proud that 90% of our new clients come to us through the referrals of past clients and other attorneys who are familiar with the services we provide our clients. 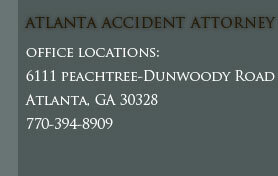 Our central office in Dunwoody serves clients in Marietta, Roswell and Atlanta. If you are considering filing an personal injury lawsuit, speak with a talented Atlanta injury lawyer from Ashenden & Associates, P.C. first. We offer free initial consultations and case evaluations. Allow us to put your case on our shoulders before you take the next step in claiming your damages. ATV, Boat, Bus, Taxi Cab, Motorcycle, Truck accident and/or Car wrecks – collision of two moving vehicles due to the negligence of another which results in an injury can be something you will need an attorney for. Often these occur in injuries and many times result in serious damage to a person and their ability to work, play and enjoy life for some time. In Atlanta and every other state this is considered damages to ones person and property and may result in a lawsuit. Cruise Ship accidents though uncommon may occur and if they do occur they may be costly to those on board. This may include a slip down wet stairs, a fall in the lobby due to misplaced luggage, etc. Bike, Pedestrian, and Cell Phone accidents may occur quite easily. For example: Doug is riding his bike through an intersection and hits a pedestrian and this stops them in the crosswalk. Along comes Jane who is texting on her cell phone and she does not see them trying to untangle. Sadly this happens in life all too often and when it does you need to speak with an experienced lawyer to sort out all the horror that fills the remainder of this story. Aviation accidents are not just when two planes collide or fall from the sky for some unknown reason. These may include accidents which occur in the tarmac or while getting up during the flight to use the restroom and hitting your head during a massive bout of turbulence. Many factors can be aligned with the damages that can be caused during before or after a flight.